Last updated 17 January 2019 . By Faith Strickland. Pitching into the Jewellery Quarter comes this new live music and cocktail hotspot. 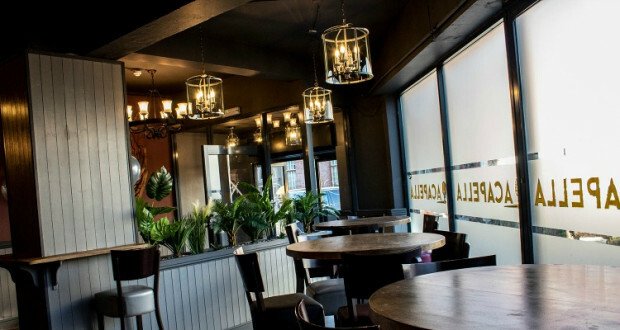 Acapella is taking over the space that used to be Fredericks Coffee Lounge and Bar and has given it a showbiz-style makeover. From red leather booths through to a new stage, the joint is adding entertainment to your night out. The bar is open every day of the week, with later closing hours on Friday and Saturday, which will also be their dedicated live music nights, with a range of genres including jazz, blues and soul. There's not just treats for your eardrums, the space will host a comedy night, and if you fancy yourself as something of a Brum star, then head along to their open mic nights.